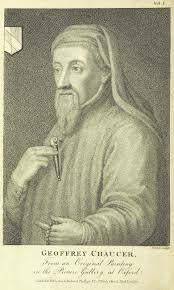 Geoffrey Chaucer is one of the greatest poets of England. He is known to be the father of English poetry . This does not mean that there was no poetry or poets in England before him. But before Chaucer there was no National language. There were merely a number of regional languages. Chaucer used one of these languages , East Midland . By the force of his genius, he raised it to the level of the national language of England. He was, therefore , both the father of English poetry and the father of English language. He is the first national poet of England. There were order poets also in his time .They were John Gower and William Langland .But their poetry is little read and enjoyed today.On the contrary, Chaucer continues to be as fresh and enjoyable as when he lived and wrote . Chaucer has been called the father of English poetry. Edward Albert calls him "The earliest of the great moderns" Chaucer stands at the end of the Middle ages and the beginning of the modern age. He has been called "The Morning Star of the Renaissance " His poetry reflects the medieval spirit. It also reflects the Italian Renaissance. Renaissance was first felt in England in his age. Chaucer was tributed highly to hid genius for the next one hundred and fifty . There was none to much him. About one hundred seventy years later , we got Edmund Spenser who is regarded as the poet's Poet. In fact, he is being enjoyed with the same enthusiasm today despite the lapse of five centuries. But in the mean time , the English language has undergone radical changes . He stands head and shoulders above his contemporaries and successors and Father Of English Poetry . Chaucer's modernism is best reflected in his realism. He reflects the real life of the England of his day. He began his career with following the tradition of courtly love, allegory and drama poetry. But he soon discarded these tradition and turned his eyes to the life and people of his times. In The Canterbury Tales, he comes to his own . His Prologue to the Canterbury Tales is an epitome of 14th century England. With great force and realism , he has painted the life and people of his times. His realism is nowhere seen to better advantage than in the delineation of character. In this respect , A.C. Ward says, "Chaucer is the first great painter of Character . "With a few deft touches he brings his characters to life . They are individuals as well as types. In his twenty nine pilgrims , all the different classes, peoples and professions of his time find a vivid expression .He represents his age not in fragments but as a whole. Chaucer rejected the medieval poetic tradition. He broke free from the religious influence of the Middle Ages.Ecclesiastical ideas and medieval habits of mind were still the controlling elements in his period. But in him their sway is broken by the spirit of Italian Renaissance . He is "The Morning Star of the Renaissance. "The face and secular spirit first expresses itself in our English poetry through him. He loves human nature including all its weaknesses .He takes a frank joy in the good things of life.He takes interest in his fellowmen and enjoys their company. He is not repelled even by the wicked, the foolish and the rascal .He is aware of the corruption in the church. But he nowhere lashes at it fiercely as does Langland, his great contemporary. His wide sympathy , gentle humanity , tolerance, etc. make him really the first of the great moderns. Chaucer is the first true humorist in English literature . His humour is the expression of his joy in life and of his wide sympathy and tolerance .Humour is the life and soul of his works. His humour is many-sided and all-pervasive like that of Shakespeare or Dickens .His eyes take on a merry twinkle as they fall on folly or wickedness of human nature. He has the capacity to laugh even at his own expense. He never lashes bitterly at folly or vice .but even looks on and smiles . He is the first of the great modern humorists of England. 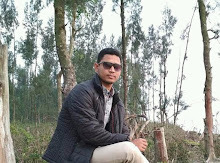 While all others of his age were local or provincial, he alone is national .He imparted to the English language the modern ease, suppleness, flexibility and smoothness . He breathed into it a high poetic life. He is certainly what Spenser called him," The well of English undefiled".He gave to the people a language so reformed and reshaped as to be a potent instrument for the expression of thought . Chaucer is one of the most musical of English poets. His English looks very different at first. But it can easily be mastered with a little labour and perseverance. He struck a modern note when he abandoned altogether the Old English irregular lines and alliteration . He adopted the French method of regular metres and end-rhymes. He discarded complicated stanza forms. For the first time, he achieved the union of simplicity and freedom in his verse . Such union is the characteristic note of modern English poetry . He introduced the Heroic Couplet into English Verse. He invented the Rhyme Royal. "It is more than a literary innovation. It is a change of mental attitude . Poetry turned with tolerant curiosity to the study of mab and manners. For the first time, the relation between individuals and ideas is clearly realized "
"Had Chaucer written in Prose, it is possible that hid Troilus and Criseyde and not Richardson's Pamela would be celebrated as the first English novel." Certain limitations of Chaucer may now be noted. He represents the growth of intelligence and the consequent weakening of passion and imagination. Since a lyric is a compound of imagination and passion there is a lack of lyricism in his poetry . Matthew Arnold found that Chaucer wanted sublimity and high seriousness . He, therefore, did not regard him as a great classic . However , in context of the delineation as stated above, we can say that Chaucer's poetry has some limitations. He may not be a poet of the very first order. we may not get from him moral and philosophical guidance . He may not rise to the highest tragedy or pathos . But we get from him a lot of Zest for life and a refreshing enjoyment of all that is beautiful in nature and life. So his place remains undisputed as the father of English poetry. He is a realist and humorist . He is the masterof characterization. His rejection of medieval conventions and his services to the English language and versification have made him "the earliest of the great moderns". When we enter his world , we feel entirely at home as much as we do with Spenser and Shakespeare. We feel the same when we study any great luminary of modern English literature. In fact , Chaucer is a modern who can be enjoyed by the modern reader with perfect ease. He is certainly among the few greatest poets of the world.